Coffee syrup without sugar with berry flavor. 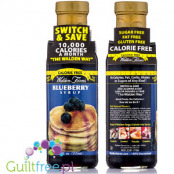 Concentrated berry-flavored syrup with a natural berry aroma, no sugar, no carbohydrates and no calories! One spoon is enough to add deep, sweet taste of fresh berries coffee or tea, syrup is also an excellent addition to refreshing drinks, hot chocolate or as a topping for cold and hot desserts. Net volume 750ml. 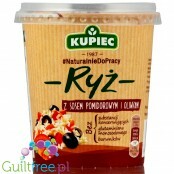 ; 4,91 pln/100ml. 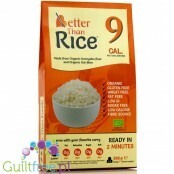 By buying this product you can collect up to 7 loyalty points. Your cart will total 7 loyalty points that can be converted into a voucher of 0,84 pln. The 0.75l bottle contains 50 portions of syrup. 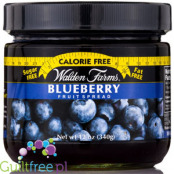 Ingredients: water, natural aroma of berry juice and other natural aromas, citric acid, cellulose gum, sweetener sucralose, preservative E202, dyes E129 and E133. The product does not contain sugar. 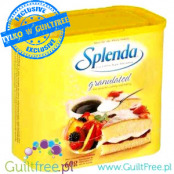 The product contains a sweetener (sucralose). Nutritional values ​​per 100ml of product: 0g of protein, 0g of carbohydrates, 0g of fats, may contain trace amounts of calories. Sweet, juicy shiny berry jelly carries the shine of a forest on a hot summer day. 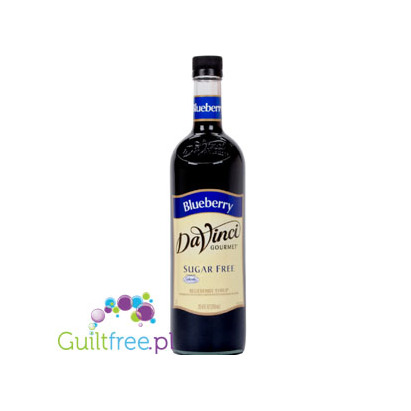 The content of natural berry flavors guarantees an exceptionally rich and rich taste.A delicious treat that melts in your mouth and it's hard to believe that even though it's so tasty, it's just an innocent addition to your desserts and sandwiches. Now 1 liter! 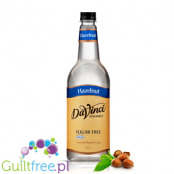 Concentrated syrup with hazelnut flavor without sugar, no carbohydrates and no calories! 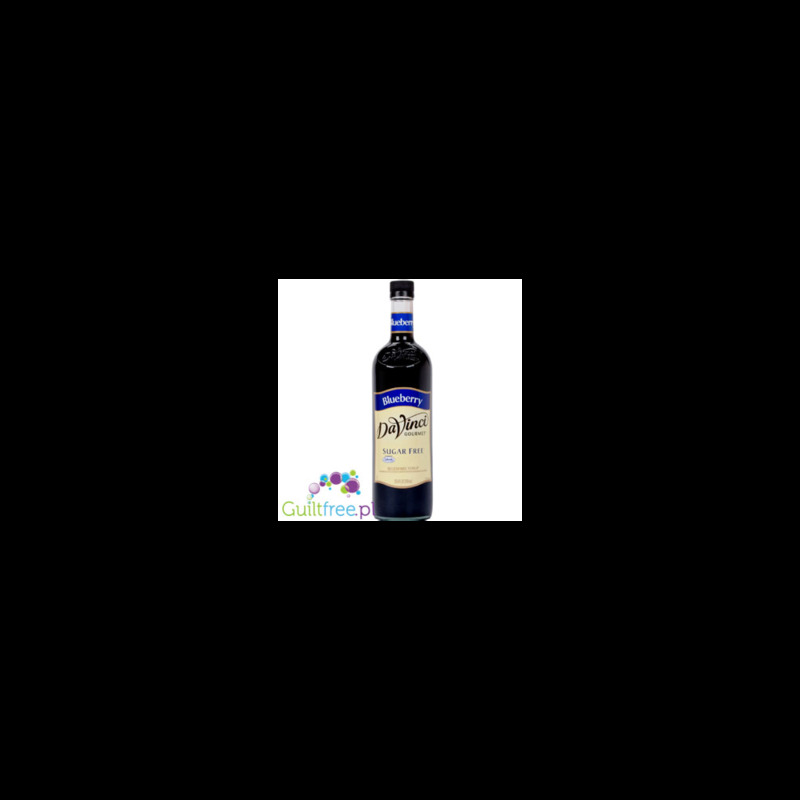 One spoon is enough to add a deep, sweet taste of freshly shelled hazelnut coffee or tea, syrup is also an excellent addition to refreshing drinks, hot chocolate or as a topping for cold and hot desserts. 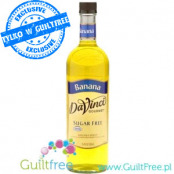 Concentrated syrup with a natural intense banana taste without sugar, no carbohydrates and no calories!One spoon is enough to add deep, sweet taste of ripe bananas, coffee or tea, syrup is also an excellent addition to refreshing drinks, hot chocolate or as a topping for cold and hot desserts. Healthy, quick to cook and additionally delicious! The merchant served us with a series of great products, for which a little boiling water is enough. In return, we get a nutritious meal with very good macronutrients. Shirataki Pasta with Soluble Glucomannan Horsemeat Diet in a catering package contains 1kg of pasta - this amount corresponds to 4-6 portions. Absolutely natural, gluten-free konjac pasta is the least calorie pasta, contains only 6kcal in 100g and thanks to high fiber content gives a very high satiety. 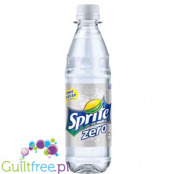 Sprite Zero - refreshing, lemon-lime Sprite without sugar and without calories! 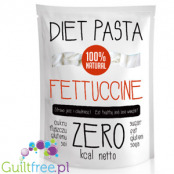 Shirataki pasta with soluble konnyak glucomannan fiber in the package comprises a catering 1kg pasta - this number corresponds to the Flatten 4-6. Absolutely natural, gluten-free konjac pasta is the least calorie pasta, it only contains 6kcal in 100g and thanks to high fiber content gives a very high satiety. 100% natural, 100% fruit snack formed in a tape, long to several centimeters, wrapped in fruity yo-yo. 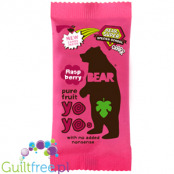 The motto of YoYo Bear is: "Pure fruit rolls - no added nonsense" or in the free translation "Only fruits - no stupid additives".Fruit jojo has only 27 kcal and is 1 of 5 portions of vegetables and fruits that everyone should eat every day - you too! Concentrated syrup with a natural aroma, toffee flavor, no sugar, no carbohydrates and no calories!One spoon is enough to add a deep, sweet taste of creamy toffee, coffee or tea, syrup is also an excellent addition to refreshing drinks, protein shakes, hot chocolate or as a topping for cold and hot desserts. 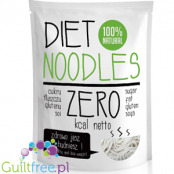 Konjac pasta is counted among zero-calorie products (it has 9kcal in 100g). Does not contain gluten, fat, sugar or salt. It is produced from the root of the plant bearing the name konjac, known in Asian cuisine for centuries. The pasta does not have its own taste, but it easily absorbs the aroma of added spices and sauces. Suitable for vegans.